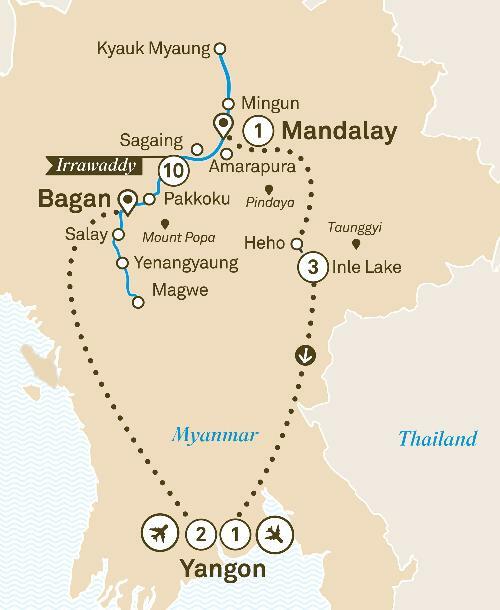 Freechoice: Embark a local train for a ride around Yangon’s suburbs. Alternatively, be guided on a tour of Yangon’s thriving art scene, or ride a ferry across the Yangon River to Dhala village. Freechoice: Visit Pindaya Caves and try cooking local cuisine, or visit Taunggyi for lunch at Myanmar’s oldest winery. Alternatively, walk to a nearby village and spend time interacting with the locals.